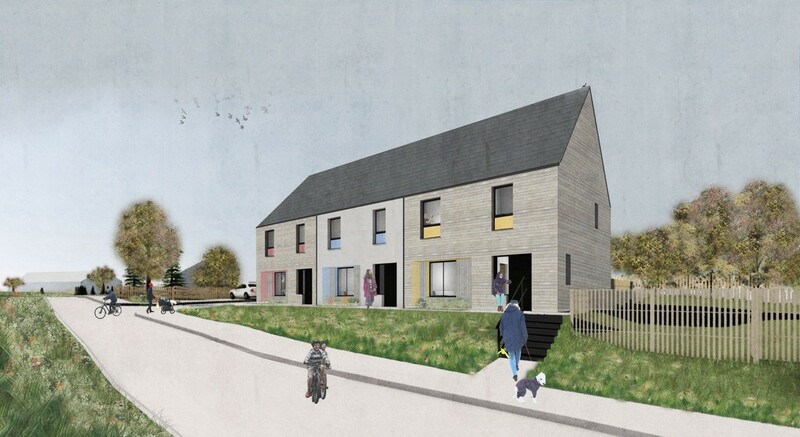 The Glasgow School of Art has been awarded a £182k grant to explore a distinctively Scottish approach to Passivhaus building; through exploration of housing typologies most likely to deliver the greatest benefits and encouraging greater adoption of low-energy homes. 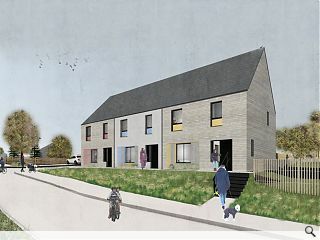 Led by The Mackintosh Environmental Architecture Research Unit and backed by John Gilbert Architects, Stewart & Shields and Design Engineering Workshop the Passivhoos project who will run for the next three-years, after winning the financial backing of Innovate UK through a Knowledge Transfer Partnership (KTP). This will enable an in-depth exploration of issues relating to improving buildability, pinning down costs and closing the performance gap between predicted and actual carbon emissions. The Passivhoos standard was developed by John Gilbert Architects as a mechanism for bringing Passivhaus design standards into new social housing to reduce fuel poverty and rent arrears while improving resident satisfaction. Excellent to read of this research funding in such a vital theme of contemorary concern. Also really good news for all parties concerned - and it's a group of good parties. This is embarrassing and then some — the Scottish cringe meets academia. We have a global housing standard growing by the hour as more and more people want to get into low carbon and no carbon housing and what is the response from the Scottish housing concert party — give it a new cheeky wee name and chisel some money out of the state to re-invent the wheel. This is just jobs for the boys putting a Tartan wrapper on someone else’s ideas. Spend your own money to learn and develop — no chance, why do that when you can phone up your pals in Holyrood to offer some trendy Wendy press releases and photo ops for a nice little cheque. Interesting that others in the Scottish building community are dealing direct with this housing standard and trying to introduce it into the current building market using the normal currency of innovation relating to blood sweat and tears. Scotland has led the UK regarding low carbon housing with the prominence of timber framed buildings north of the border. Disappointing that we are now followers rather than leaders in this field but improvements have been made and “Passivhaus” Standard kits have already been produced locally. So why spend money learning things we already know? Finally fair play to the Germans. Scandinavia was the leader in timber frames for a long time but they — the Germans — got involved and took it to the next level. Cheeky wee slogans will never be enough. But when Identity politics is involved it is all that matters. Scotland — Tartan’ing it up for a thousand years. Innovate UK ... so you say. Accessed through Scottish Enterprise and Technology Scotland. News stream full of diversity reports, pictures from a dinner dance and PR fluff. Edward - Thank you for the comments, appreciated. FBoT - I think you've missed the point, we're working on 5 sites with this already, have invested significantly already (and further in the future) and have gone through the usual tribulations, this is not reinventing the wheel but aiming to make its delivery more efficient. Thanks for your thoughts and time no less. The base point is why are a concert party of Scottish construction building nomenclatura trying to put a tartan wrapper onto a global and growing concept? This is real business not an Ir'n Bru advert. The people who actually produce the passivhaus kits themselves -- we have the assembler, the stylist and the engineer but nothing regarding manufacturing or the people actually building the kits / components. What is the project actually trying to achieve? If you are trying to improve the cost of quality then you are only looking at half the issue. You need to get manufacturing involved. They are the real product innovators. Consequently why spend scarce public resources dancing around the problem? Why do we need a "distinctively Scottish approach ... "? Identity politics gone mad. Why do we need an approach tailored to social housing and not universal adoption? Given the issues highlighted surely a campaign against Universal Credit would yield better results? What are the global benchmarks for passivhaus builds? Where is the most dynamic market for this type of housing? What can we learn from them, what are we learning from them? Do we have anything to sell in return? Big fish in a puddle is no future.